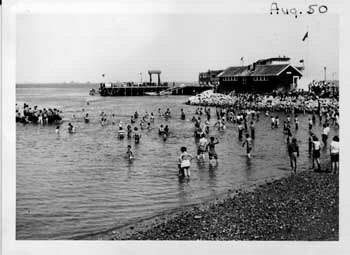 Images of America: Plymouth and Plymouth Labor and Leisure (Arcadia Press). 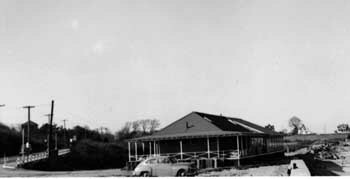 These images were taken by Howard Barnes, and provided through the generosity of his niece, Helen Belcher. 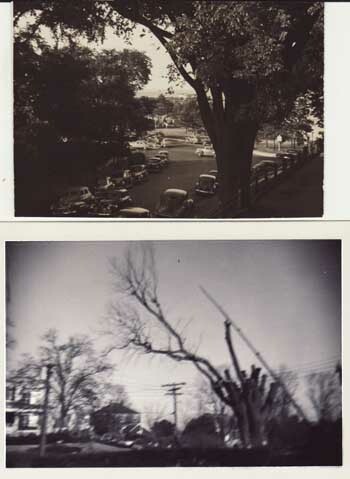 The corner of Court Street and North Park Ave (3A & 44), as the Socony station was switching to Mobile. 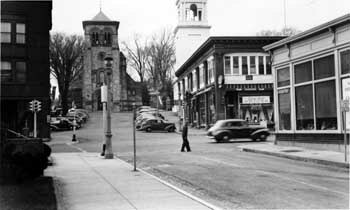 Note Plymouth Mills to left, homes on Park Ave to right. 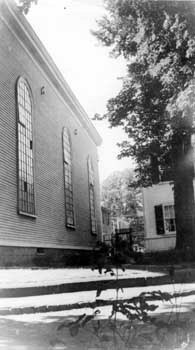 it was torn down in December, 1938. 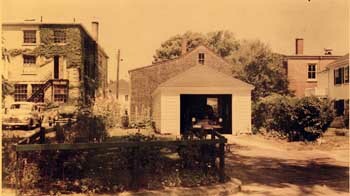 The Barnes' new garage on Carver Street on site of Universalist Church (1822-1938), July 1951. 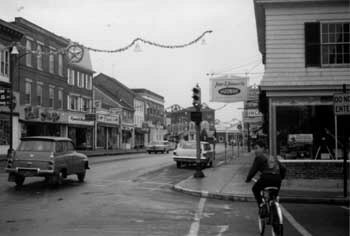 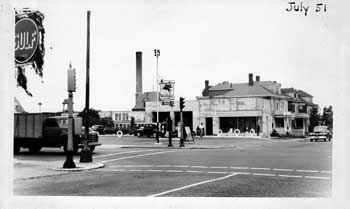 Note backs of Memorial Press building (left) and Middle Street house, now gone. 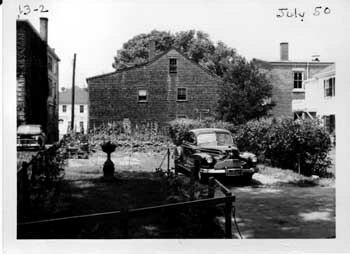 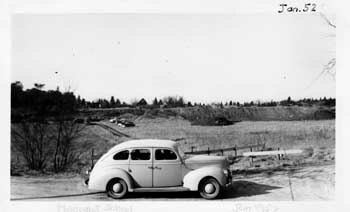 Another view of the Middle Street backs before the garage was built, July 1950.